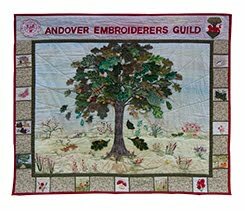 What a busy time we are having - with the fabulous Exhibition in Andover Museum showing the range of projects from our talented members [many of whom started with cross-stitch kits!] and two more meetings and a workshop before the August break. We will all need a rest then especially our hard working committee. The next meeting, on 16th June, is 'From Sketch to Stitch' from Deborah Harwood who will show us how she uses sketchbooks to plan her projects. 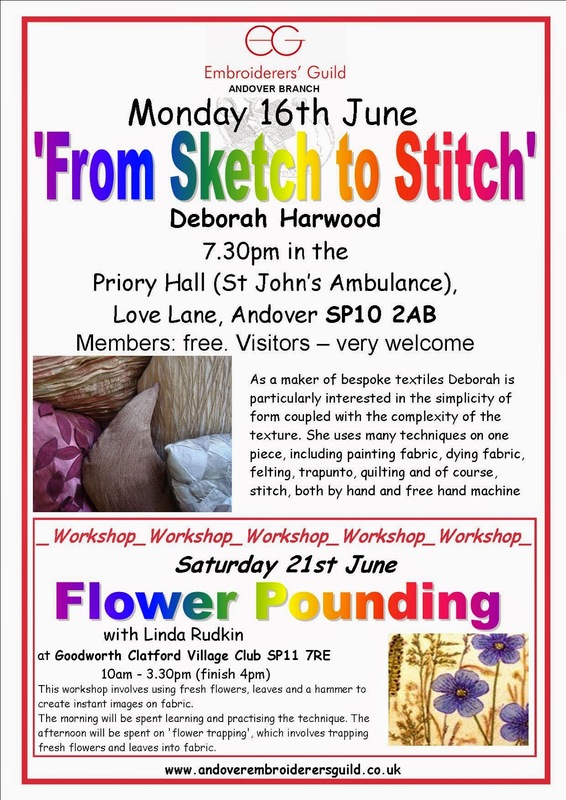 This is followed, on 21st, by our last workshop before the summer - 'Flower Pounding'. It all sounds very intriguing - details below.